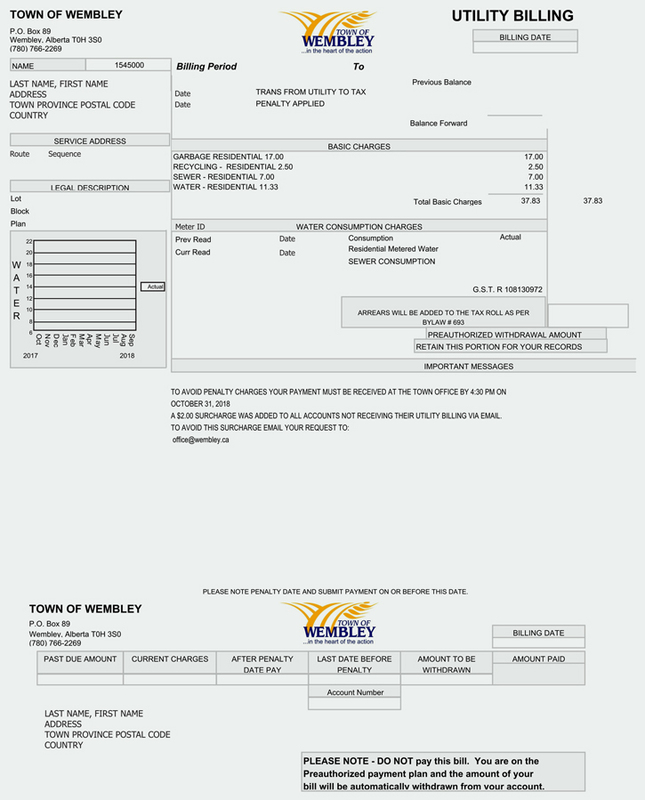 Transfer from Utility to Tax - Reflects amount carried over from non-payment of utility bill to tax account. Penalty Applied - Reflects penalty accrued from any outstanding balance. 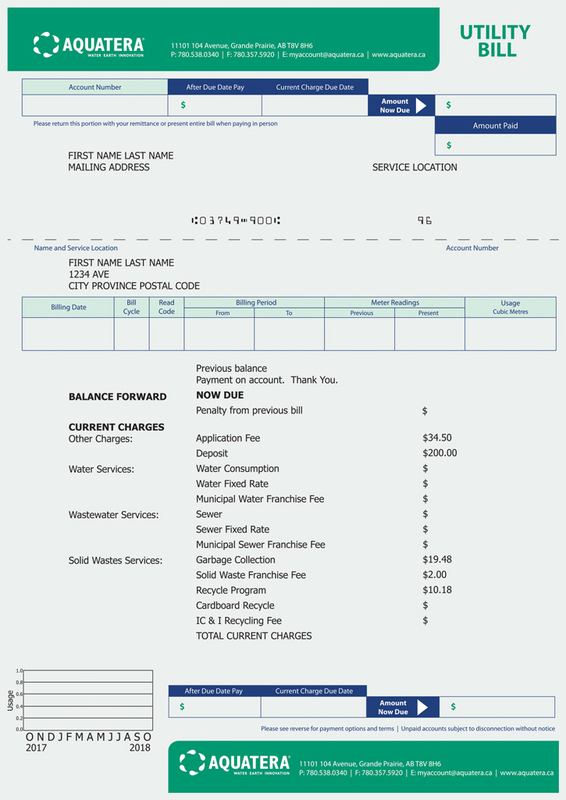 Basic Charges - Reflects residential garbage, recycling, sewer and water rates. Consumption - Reflects the amount of water you consume. Residential Metered Water - Reflects water usage. Sewer Consumption - Reflects the amount of wastewater you consume. Usage - Reflects history of your water usage.